Born in 1963 in Shingu City, Wakayama, Suzuki began using photography as medium for his creative output after graduating from Tokyo College of Photography Research Department in 1987. 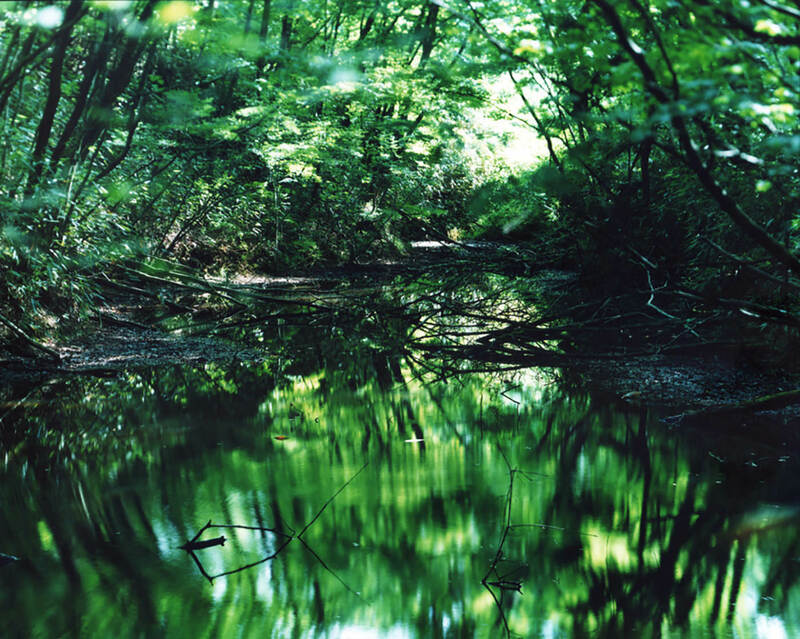 In 1998, KUMANO, his first photo book–comprising images of his hometown Kumano–was published. In 2000, he received the 25th Kimura Ihei Award for his book PILES OF TIME. He began teaching at the Department of Intermedia Art, Tokyo University of the Arts in 2006. In 2010, he established the “Photo Secession Group” with other Japanese critics and photographers, all born in 1963. Suzuki has shown internationally, with solo exhibitions in New York, Zurich, and other cities. In addition to photographing Kumano, which might be called his lifelong project, he has used different approaches to shoot a variety of subjects, ranging from cherry blossoms, snow, Mt. St. Victoire in the South of France, and Cezanne’s studio. His various projects, however, consistently display a critical awareness of the act of seeing and the unique characteristics of the photographic medium. His major solo exhibitions include “Stream of consciousness”, Marugame Genichiro-Inokuma Museum of Contemporary Art, Kagawa (2015), Tokyo Opera City Art Gallery (2015) and Tanabe City Museum of Art, Wakayama (2016); “Water Mirror”, Kumanokodo Nakahechi Museum of Art, Wakayama (2016); and “kumano, yuki, sakura”, Tokyo Metropolitan Museum of Photography (2007). His works are included in the collections of the San Francisco Museum of Modern Art; Museum of Fine Arts, Houston; National Museum of Modern Art, Tokyo; and Tokyo Metropolitan Museum of Photography. Yuri Mitsuda is an art critic and curator at Kawamura Memorial DIC Museum of Art, born in Nishinomiya, Hyogo. She graduated from Kyoto University, Department of Literature. Some of her major books include “Words and Things: Jiro Takamatsu and Japanese Art 1961 – 72” (Daiwa Press, 2012), “From bijutsu hihyo [Art criticism, 1952-1957] and its Era” (Fuji Xerox Art Bulletin, 2006), “Yasuzo Nojima” (AKAAKA, 2009). Mitsuda has organized exhibitions include “Talking about Art: The Viewpoint of Yusuke Nakahara” (Kawamura Memorial DIC Museum of Art, 2016), “For A New World to Come: Experiments in Japanese Photography, 1968-1979” (Japan Society, 2015), “Hi-Red Center: The Document of “Direct Action”” (Nagoya City Museum, 2013- 2014), “SHINJIRO OKAMOTO THE BIG BOMB at 25:00” (The Shoto Museum of Art, 2011), “Yasuzo Nojima 1889 – 1964 Works and Archives” (The Shoto Museum of Art, 2009), “Nakanishi Natsuyuki New Paintings” (The Shoto Museum of Art, 2008), “Kiyoji Otsuji: Encounter and Collaboration” (The Shoto Museum of Art, 2006) and “Nakaji Yasui photographer 1903-1942” (Kyodo News, 2004).